Cut the negative people out of your life. 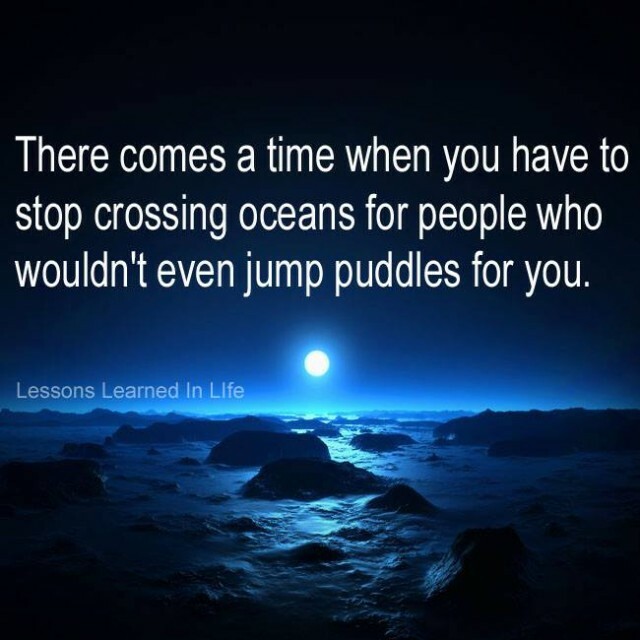 Don’t lift a finger for people who won’t lift a finger for you. Don’t allow people in your life who don’t deserve to be there. Hardly a day goes by that I don’t see something like this on Facebook. Clearly, there are people who are violent that we need to stay away from for our own physical safety, and marital problems absolutely must be resolved, but those aren’t what this line of thinking seems to be addressing. It’s talking about the difficult people. We all have them in our lives. You’re probably thinking of some right now. Maybe it’s a family member, a neighbor, or a co-worker. Somebody who’s in your life for some reason, only you wish she weren’t. 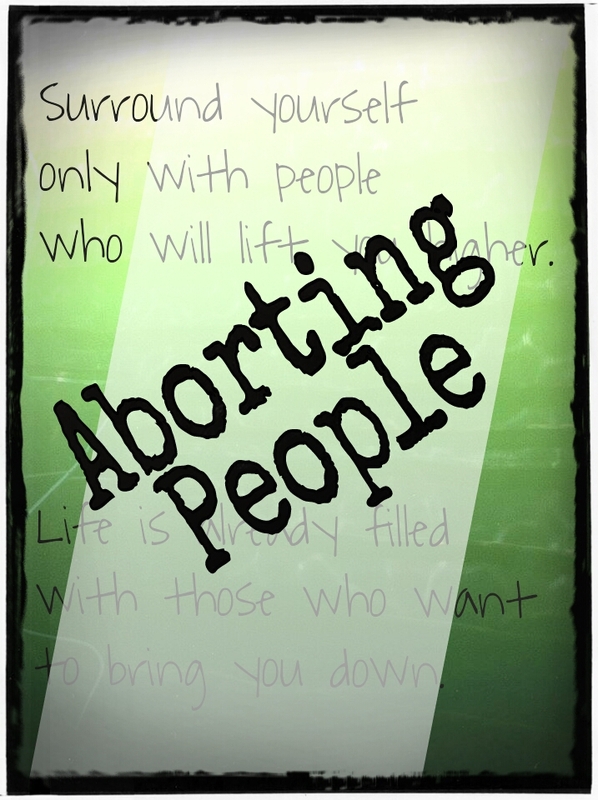 The world’s advice: abort people. If they’re negative, if they don’t further your success, if they drain you, if they’re somehow undeserving of your time and attention. 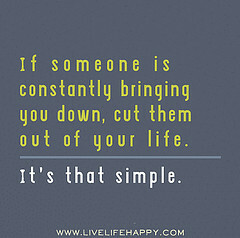 Just cut them out of your life. Abort them. Christians are on the front lines of the battle against literal abortion. “Every life is precious,” we say, and that’s as it should be. But somehow, the world’s abortive mentality has crept into our thinking when it comes to the relationships we have with others. Babies are being killed because they’re inconvenient, they’ll hinder someone’s pursuit of success, or they have a disability, and we’re – rightly – grieved and outraged, but do we have any pangs of conscience when it comes to throwing away that inconvenient friend or that personality-handicapped family member? Is every life really precious? We serve a Savior who loved the unlovely. Took time for the inconvenient. Invested in the drains. He felt their loneliness and rejection and knew the pain of being scorned. Because He was one of them. Yes, there are people who are so difficult that we may have to love them from afar, taking time between each encounter with them to pray, recover, and forgive. But we must remember who we were called to be. I love, not because people deserve it, but because He first loved me. I am forgiving because I have been forgiven much. I am kind because God has been so kind to me. I lay down my life for messy people because Christ laid down His life for the biggest mess of all- me. Extend grace. Because in God’s eyes, every life is precious. Even yours.